Annie Pullen-Sansfaçon’s research has served as a motor of change in our society, due in large part to her remarkable perseverance and determination. Thanks to her, the lives of several hundred transgender children in Québec have been transformed. 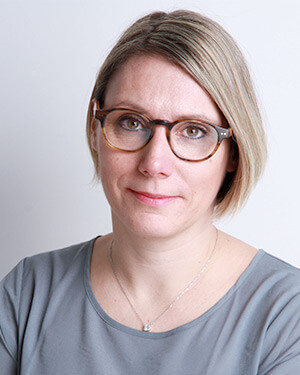 As an associate professor at Université de Montréal’s school of social work, Annie has led several research projects aimed at furthering our understanding oppressed and marginalized groups such as migrant professionels social workers, and transgender children’s, youth and their families’. While many groups continue to experience social stigma, the situation of transgender people is worse still, especially those from racialized communities. Research on transgender children and youth reported heighten experiences of anxiety, depression, self-harm, social distress and suicide. The issue faced by transgender children and youth has personal resonance for Annie, which galvanized and brought added passion to her research work. Indeed, one of her children identifies as transgender, and this resulted in them experiencing first hand some of the daily lived struggles experiences of transgender children and youth. This experience instilled in her the desire to make change and better understand in order to imporve the live of children and families. Armed with a doctorate in ethics and social work from Montfort University in England and experience acquired from various projects conducted during her tenure as a professor in Université de Montréal’s school of social work, Annie adapted her knowledge of ethical intervention practices to develop research project that are anti-oppressive to study the situation of transgender children in a way that contribute to the empowerment of these groups. She published works on effective intervention based on scientific and ethical principles and received over $3 000 000 in funding, some with international partnerships, to pursue their research. The knowledge she has developed in this field led to numerous invitations to professional and scientific conferences and seminars, including events in England and Switzerland. She has been a frequent media spokesperson and on three occasions has submitted briefs to the National Assembly. In the wake of all of this activity, the National Assembly unanimously adopted Bill 103 in 2016, legislation that reinforces efforts to eliminate transphobia and improve the condition of transgender children. The bill would never have seen the light of day without Annie’s rigorous scientific research and determination to improve the lives of transgender children and their families. The Commission des Droits de la personne et de la jeunesse presented the Rights and Freedoms Award to Annie and her daughter Olie in 2016. In the same year, she received a medal from the National Assembly. Annie is the co-founder of Gender Creative Kids Canada and now serves as its vice-president. Annie Pullen-Sansfaçon is responsible for a paradigm shift in our society. Her indomitable determination has made her a model for people in our society. She made a decision to challenge stereotypes to ensure dignity to her daughter and all those who feel different from the sexe assigned at birth. She is unquestionably woman of great courage and inclusiveness.